There’s a feast spread out on the picnic table. A cheese board is piled with cheddar, fresh fruit, homemade jam, and focaccia. White bean salad, crunchy pickles, and freshly baked bread accompany a mason jar full of spreadable smoked salmon rillette. While a pizza, topped with forest mushrooms, should be coming out of the brick-fired oven soon. Don’t forget the wine. Lots of wine. It’s the most important part of the feast. Your red flight features five Rhône-style wines. The Cochise County Grenache—made with the most widely planted wine grape on the planet—smells like strawberries. The Super Arizona, a classic Tuscan-Bordeaux-style blend, pairs perfectly with the hard cheese. The GMCs (an acronym for the grapes used to create the blend) is layered with spices. The Pillsbury Vineyard Shiraz is a treat, since the bottle isn’t available to buy. Then there’s the Vino de la Familia. After one taste, you set the rest of the glass of the full-bodied wine aside. This will be your last sip later. This delicious afternoon is courtesy of Page Spring Cellars in Arizona’s Verde Valley. 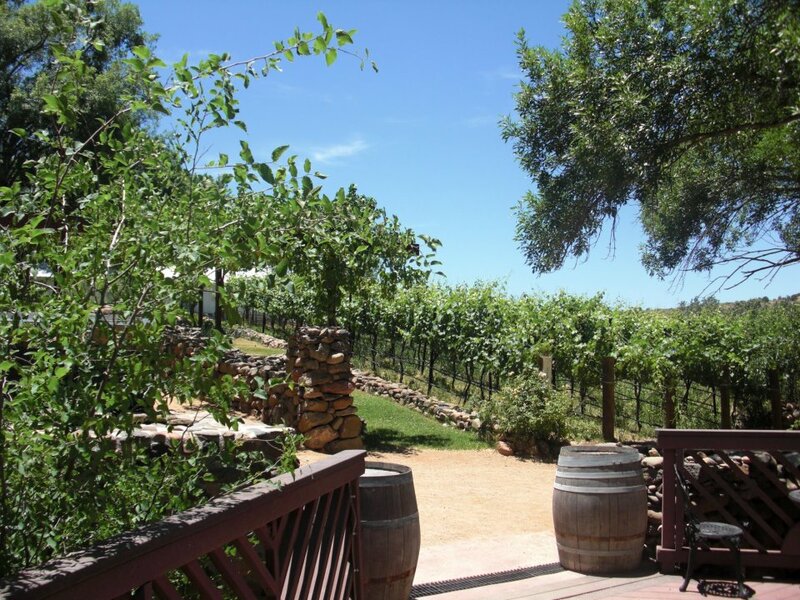 The winery is an easy day trip from Sedona, Flagstaff, and even Phoenix. Cornville sits 3,500 feet above sea level. The small town’s high elevation gives it more comfortable temperatures than most of the hot Southwestern state. It also makes it a great wine-growing region. Page Spring Cellars was established in 2004 along Oak Creek, a tributary of the Verde River. The winery is now spread across four vineyards, each with its own unique climate and soil. Colibri Vineyard was once an apple orchard. Page Springs Home Vineyard has sandy soil atop limestone. House Mountain Vineyard sits on the western slope of a dormant volcano. While you can see Dos Padres Vineyard from the tasting room. All of this was explained during the tour when you first arrived. The highlight of the tour was getting to taste wine directly from the barrel for the first time. From there, you moved to the tasting room and out onto the deck overlooking the creek and a bocce ball court. You grabbed a table and selected the red wine flight. But your order quickly increased when the wind blew the smell of baking pizza your way. Now you plan to spend the rest of the afternoon right here. More Vino de la Familia, please.